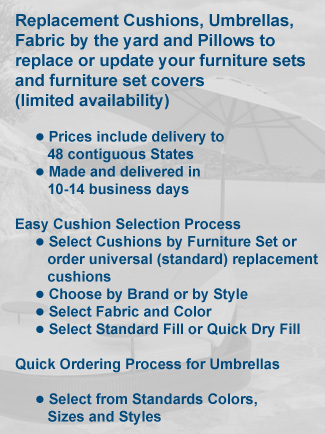 Cushions and Umbrellas Plus manufactures cushions and pillows sized to fit specific furniture collections. 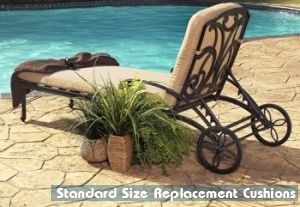 We also offer universal (standard) size cushions to fit almost any other patio furniture set. 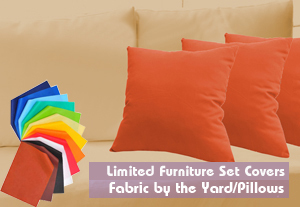 Choose from a selection of fabric colors with the option of standard or quick-dry foam fill. Our expert production staff fabricates high quality cushions that will restore the look and comfort of your existing outdoor furniture. Replace worn, frayed or faded cushions on your patio furniture or add new cushions or pillows to pieces that never had them before. 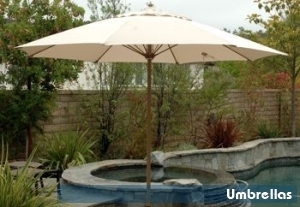 We also manufacture fiberglass ribbed umbrellas in a variety of sizes and styles to coordinate with your chaise lounges and dining tables. You may select from several finish colors as well as a wide array of fabrics.